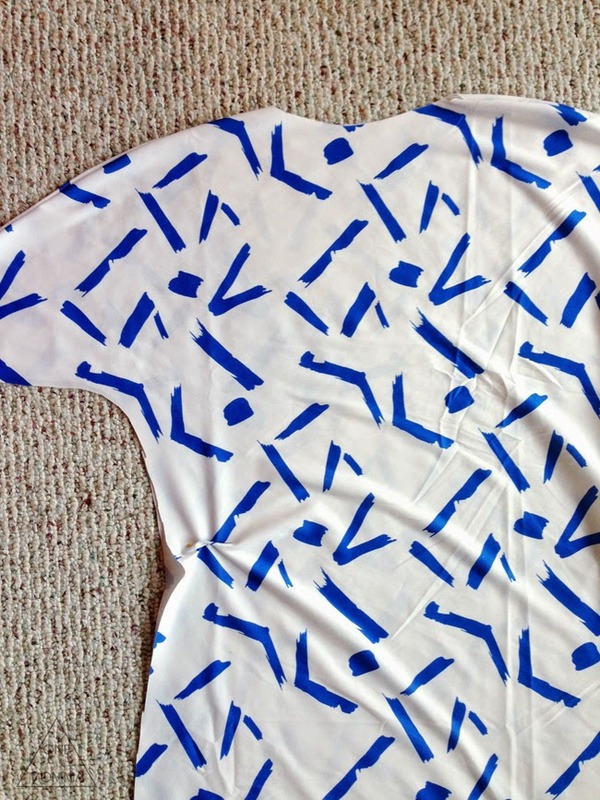 A few years back, I found this amazing polyester blend, brush-stroke-printed fabric at a garage sale. I love vintage fabric in general, and when I saw it marked a dollar for multiple yards, I couldn't pass it up. I had a dress like this in mind for it at the time, but I didn't have the pattern or the time to make one. It got shoved in the fabric stash for another day until a few weeks ago. Right before Easter, I came across this fabric again. I didn't have an Easter dress picked out and I thought, "Hmmm... maybe, just maybe I could put something together quickly..." My requirements were that the dress-making process be easy, quick, and pretty simple or I wasn't going to continue messing with it. So I took a risk and got started. I'm so glad I did because it really paid off! 1. Because I didn't have a pattern for the dress I wanted to make, I needed to find one. I have a maxi dress that I love and that fits similarly to how I wanted this dress to fit. 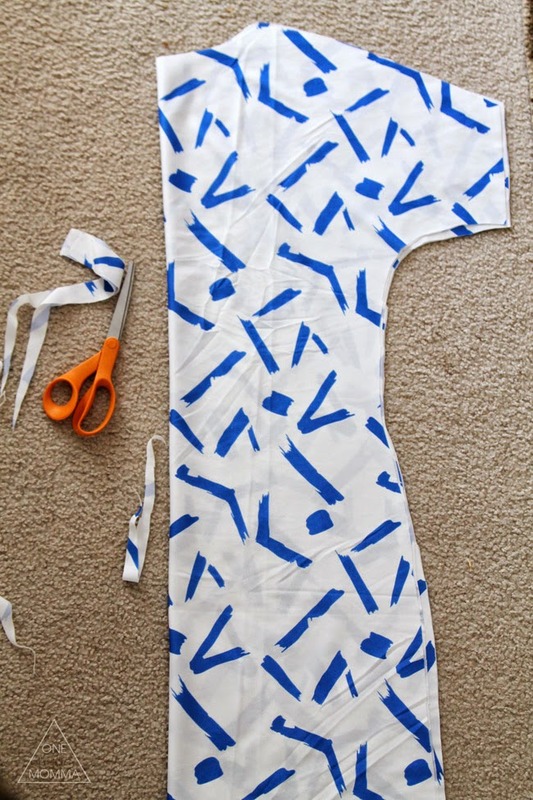 I grabbed it and used it as my pattern for cutting my fabric. 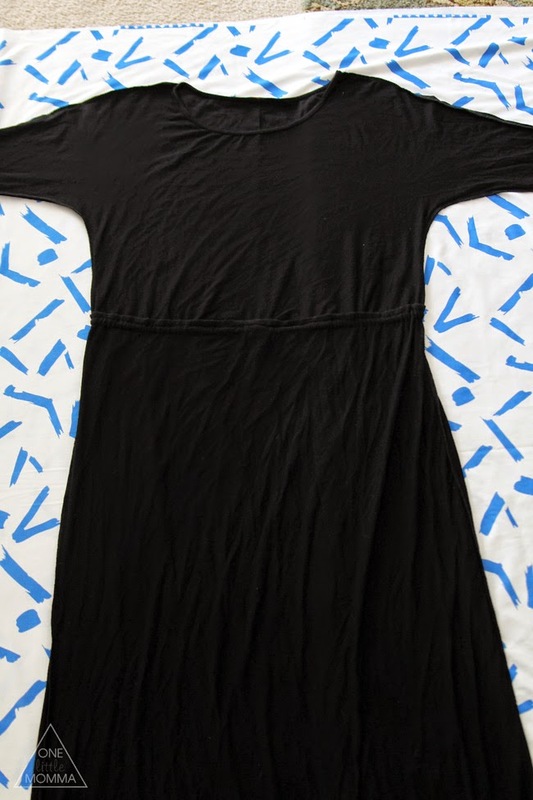 The dress I traced has dolman sleeves, meaning the sleeves are not separate pieces of fabric from the body. It has only front and back pieces of fabric for its construction, which was perfect for me. I didn't want to mess with sewing in sleeves if I didn't have to. I traced around the top half of the dress, cutting the sleeves into short sleeves and the skirt of the dress into a mid-length rather than a full maxi. I planned on adding elastic to the waist to create the blouson look, so really any loose-fitting dress would have worked. 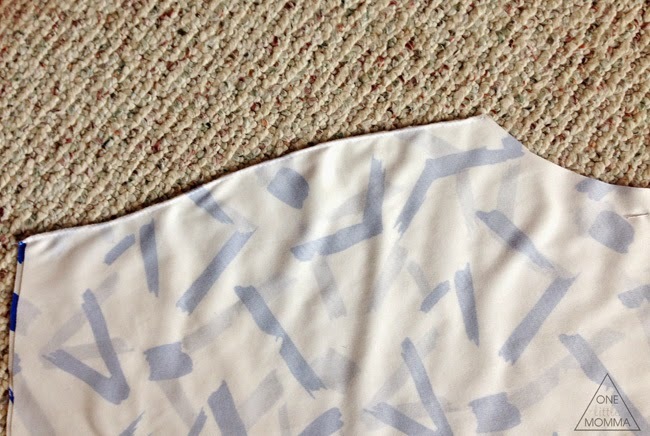 As I cut, I added about an inch of seam allowance just to be extra careful. 2. 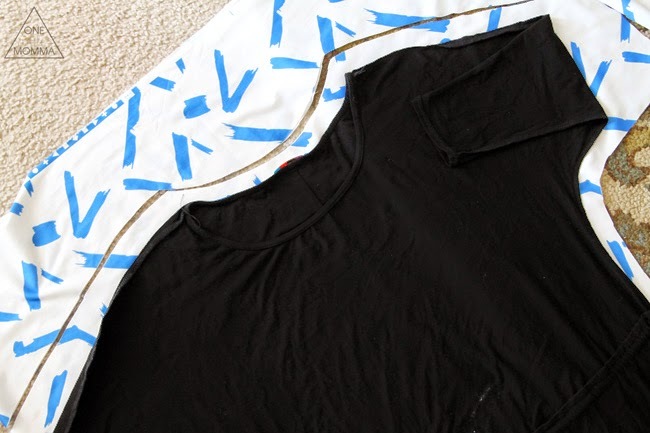 Once the dress was cut out, I folded it in half to be sure the sleeves and the edges all matched up. I trimmed wherever they weren't exactly matching. 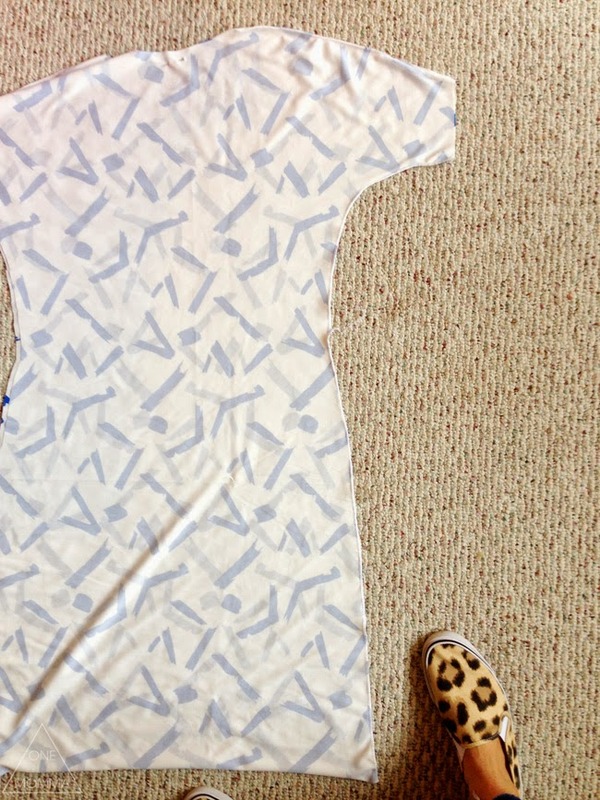 I also cut out a 2.5-inch wide strip that was twice as long as the width of the dress' waist. It was about 24 inches long. 3. 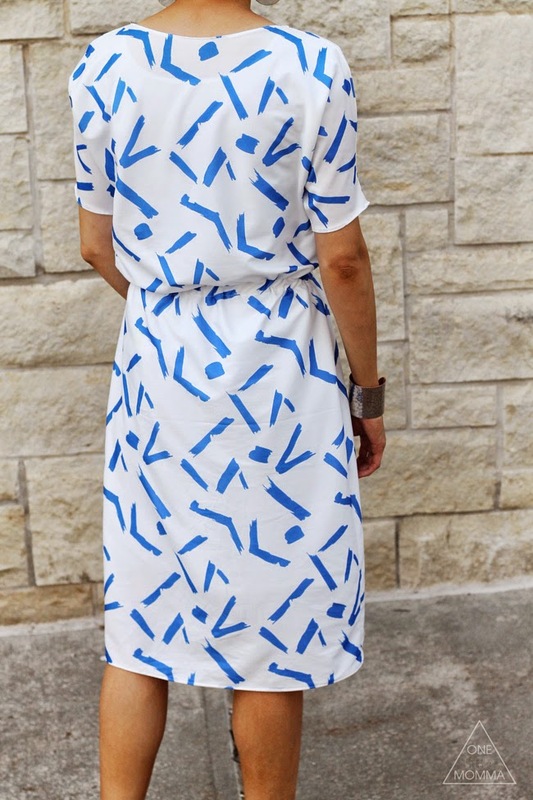 I sewed almost this entire dress on a serger. If you don't have one, a regular machine will work, but your inside edges won't be as clean and pretty. 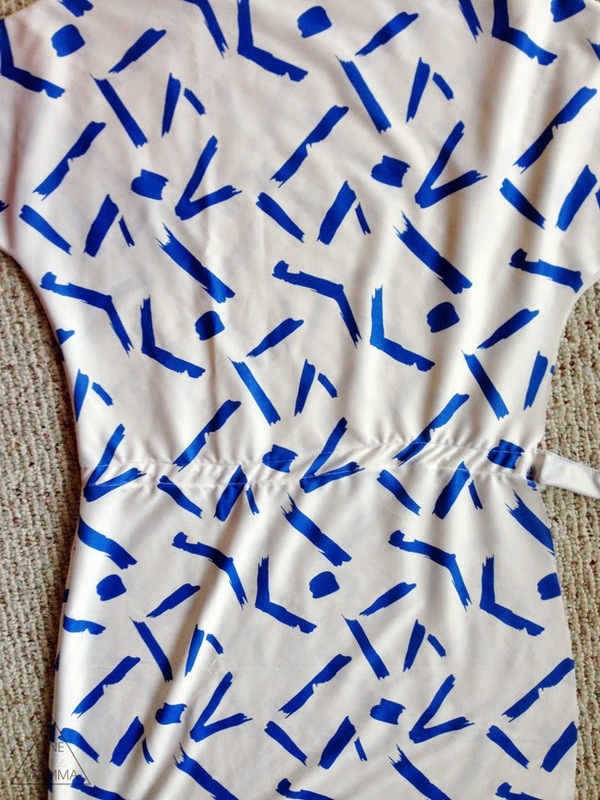 To start, I matched both shoulder tops with the right sides together and pinned them. I then serged (or sewed) them together just along the top of the shoulder. 4. 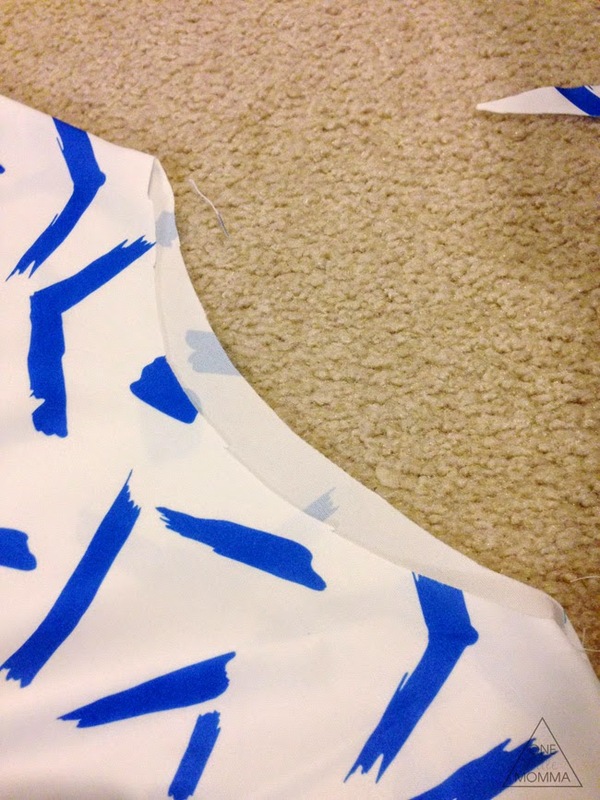 Next I serged along one side of the dress from under the arm to the bottom of the skirt. I just had to be sure to leave the sleeve hole open! The front and back of the dress were now attached at three points—at the top of each shoulder and along the one side. 5. Next, I turned the dress right side out and tried it on. 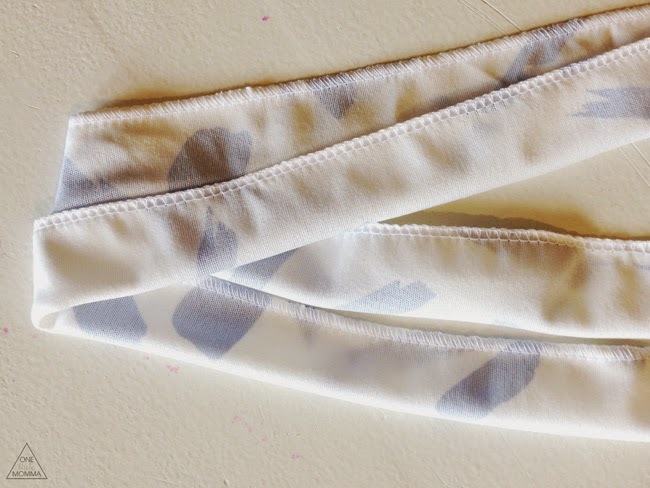 This is how I found my waist for the elastic. I eyeballed it and chose to place it right below my natural waist. I placed a pin on the front and the back just to mark the height where the elastic should be placed. 6. Before I could add the elastic, I had to have a case for it. 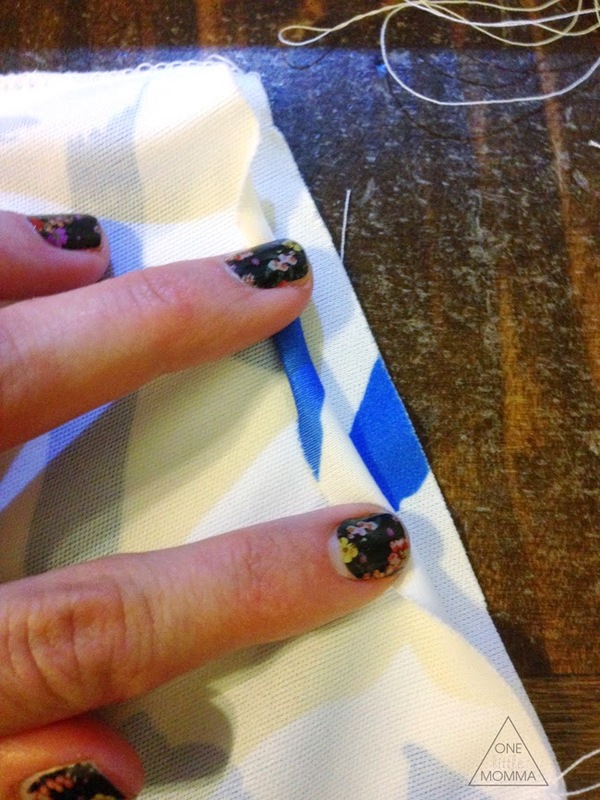 I folded the 24" fabric strip in half and serged it closed into a long tube. 7. I pinned that tube into the dress along the waist all around the inside circumference of the dress. The tube works as a case for the elastic, so it should run along the same circle where you want the elastic to sit. Find your original placement pins and pin the whole tube in. Be sure it sits at the same height all the way around the waist of the dress. 8. After I pinned the tube into the dress, it was time to sew it in. I sewed a long straight stitch along the top and the bottom of the tube. This securely attached it to the dress. Don't sew it closed on either end of the tube. 9. Next it was time to add the elastic. I pinned a large safety pin to my 1/2-inch elastic and started pulling it through the tube in the waist of the dress. Once it moves in far enough, you can tack down (with the machine) the end of the elastic to the edge of the dress that you started on. 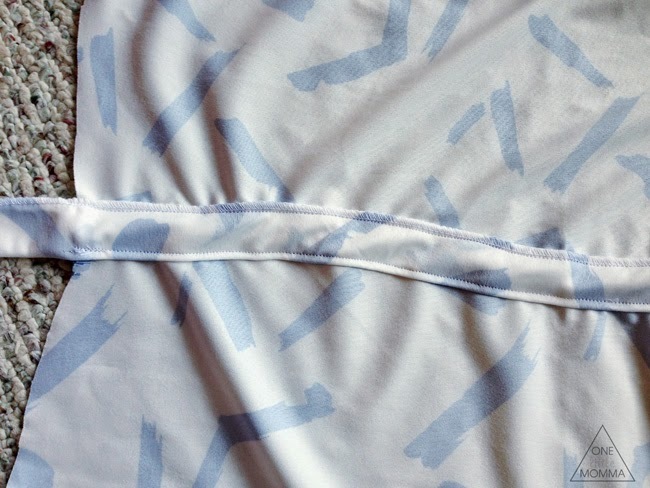 The elastic needs to be anchored so that it doesn't all thread through and get lost. I anchored the end of the elastic and then pulled the safety pin through to the other end of the tube. There was now flat elastic threaded through the entire tube with one end tacked down and the other end open, with a safety pin attached to the end of the elastic sticking out. 10. I put the dress on, being careful not to let the elastic pull back through the tube, and decided how tight I wanted the waist to be. I pulled the elastic a little tighter and trimmed the excess. I wanted the waist fitted enough to blouse up the top, but not so tight that it wouldn't fit over my shoulders when putting it on. I did make the mistake of letting go of the elastic and it slipped back in the hole—that was not fun to get back out! So be sure not to let go of the end! 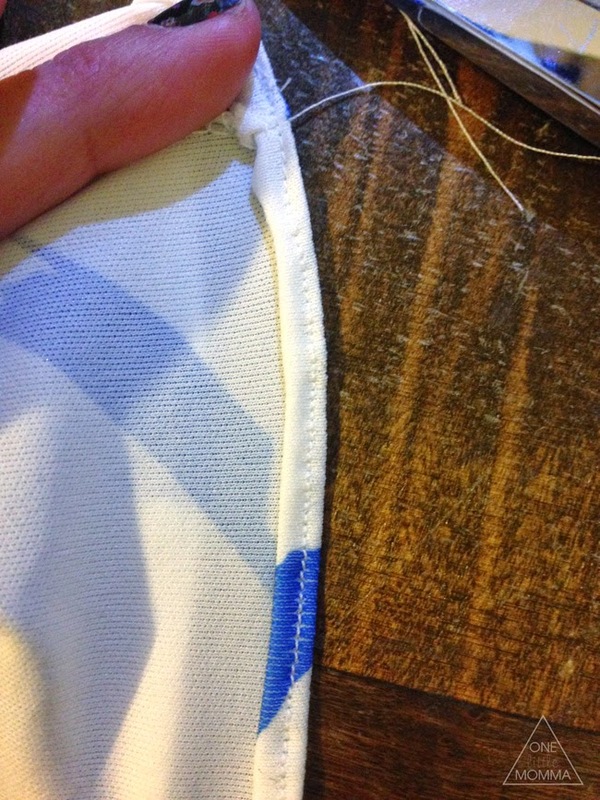 Once the elastic was tight enough, I used the sewing machine to tack it down and hold it in place. Then I turned the dress back inside out and serged up the open side, starting at the sleeve and making sure the elastic lined up as I sewed. 11. I turned the dress right side out, and it looked almost done. All that remained was hemming the sleeves, skirt, and neckline. 12. I trimmed the front neckline into more of a slight scoop neck and then used a warm iron to just barely fold the edge under twice. I folded and ironed the edges of the sleeves and skirt the same way. 13. 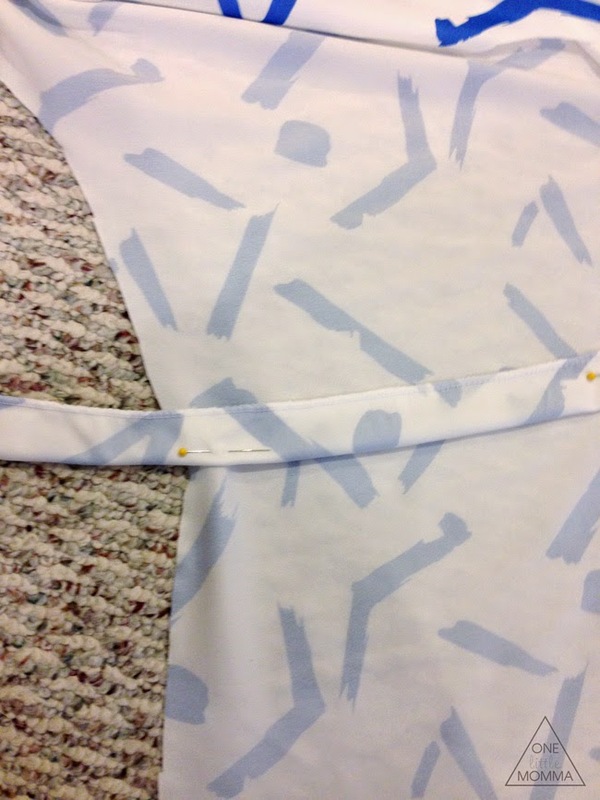 With the dress inside out again, I very carefully and slowly used a straight stitch around the hem of each opening. I stitched as close to the edge as possible while keeping them turned under twice. After I trimmed the excess threads, I turned the dress back right side out again and gave it a good press. And that was it! Although it looks like a lot of photos and steps, this dress really wasn't hard to make at all! The blouson top is extremely forgiving for different sewing skill levels and on different figures. I would and will make this dress again and am very happy with how it turned out. This is gorgeous! And the way you did it seems so simple- the elastic waist part feels especially genius! I can't wait to try, thanks for sharing! Wow! You have some serious sewing skills. 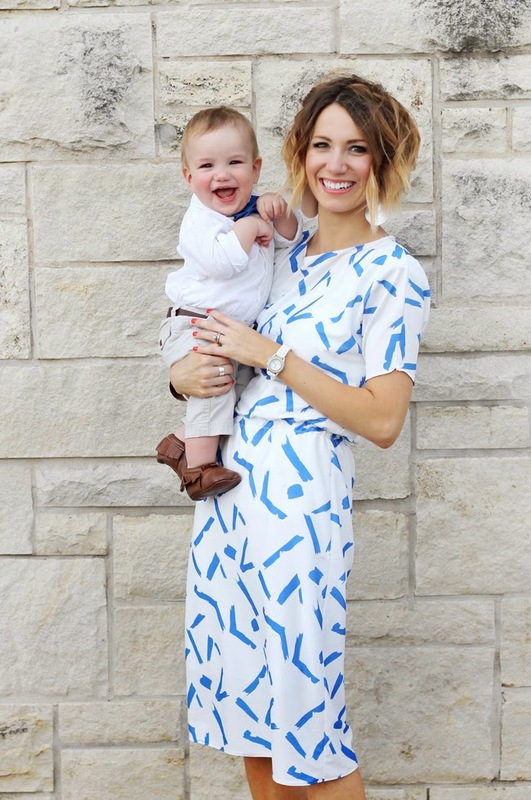 I love this dress- so cute! I'm not a sewer, but this makes me want to try. I was online looking for that dress. Wish you had a pattern for it. I am so happy to have found your blog, this is such a great tutorial and I pinned it for future use! I am plus size and I love clothes but never find any dresses I like, especially in cute modern prints- I will be making some in the near future, thanks to you!! Отличное, красивое платье. Простое в исполнении, но как хорошо смотрится. Вы молодец. Love this! Was wondering where you got your fabric? It looks very beautiful. Great for Summer! Wonderful tutorial. I like it, Thanks for sharing. Very cute! Can't wait to try this, thanks for the directions! 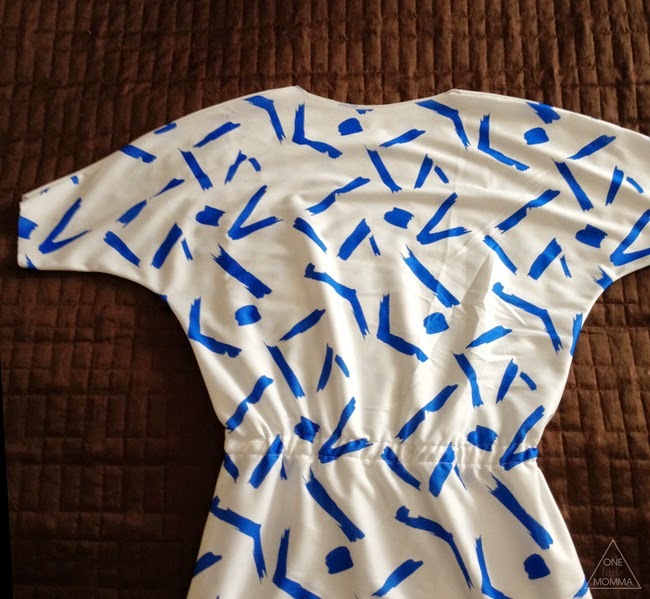 Thanks for this lovely dress pattern! 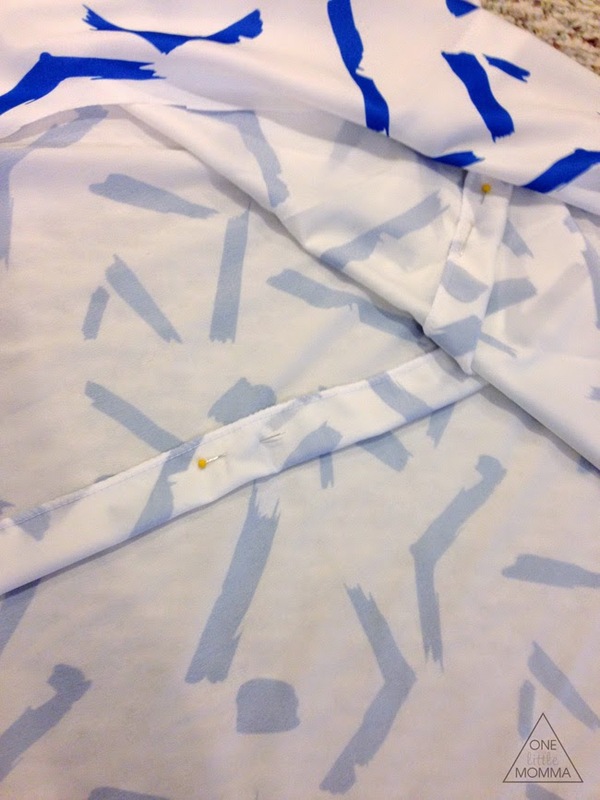 I made a version in cotton linen and it turned out great! I'm a beginner to sewing and your instructions were so clear! 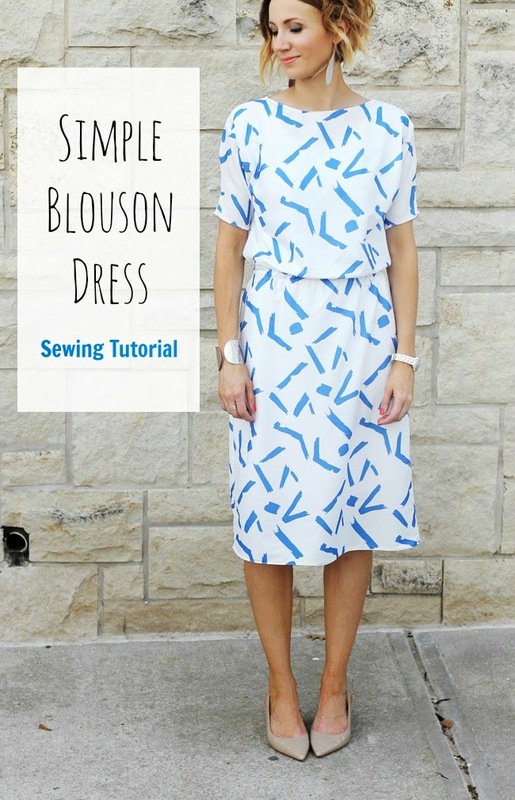 Where would I find a pattern for blouson dresses? This is beautiful and I wore these these styles when I worked. They are so comfortable and now that things have "drifted??? "some this style would be most flattering...thank you.